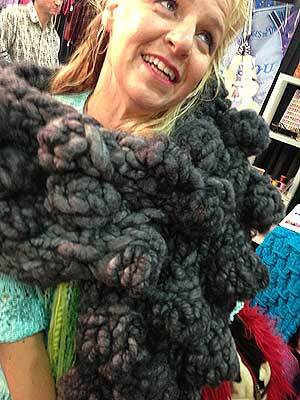 Hot on the heels of the Cinnamon Loop Hat, Heather Dixon released the pattern for the matching Cinnamon Loop Mitts. We love the mix of the two soft and gorgeous Galler Yarns used in this design – Prime Alpaca, used double, and wonderfully light and fluffy Belangor Angora. 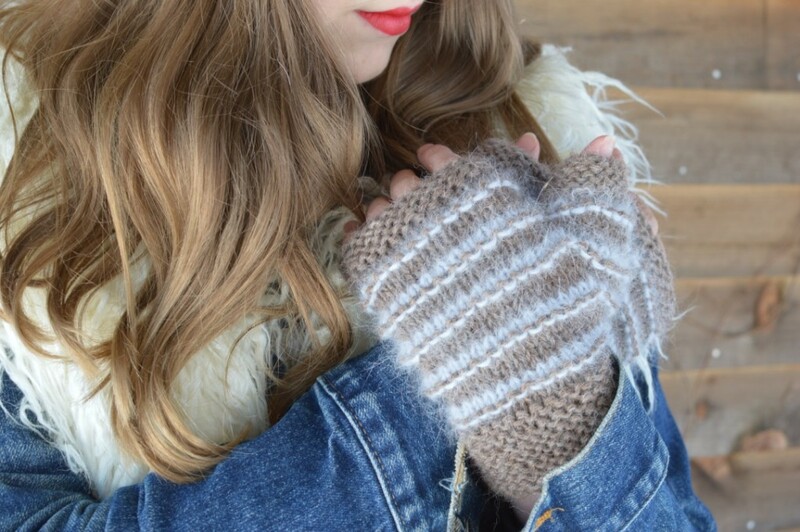 The mitts are so soft and cozy, wearing them is like receiving a hug for your hands! With Garter Stitch trims, these mitts are quick to knit, especially if you use the Magic Loop Technique, a firm favourite of ours! Team these mitts up with the Cinnamon Loop Hat, for a stylish look in cooler climes. 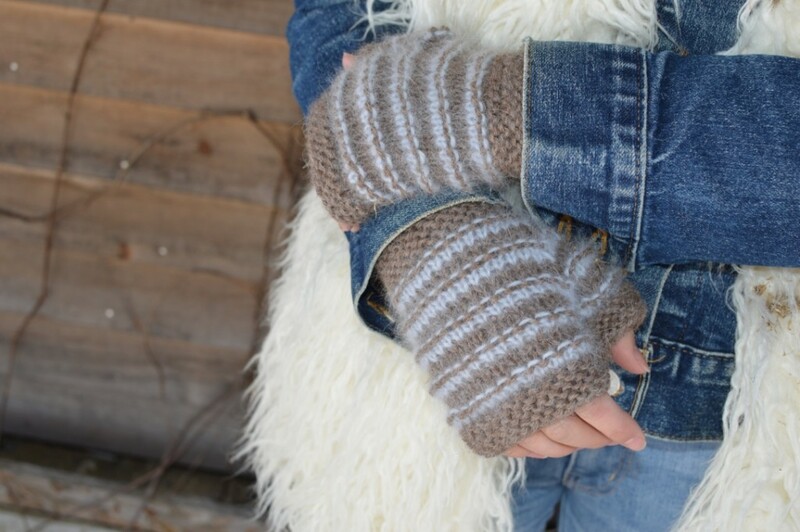 This pattern is now available from Ravelry, via this link: Cinnamon Loop Mitts. Next story What happens to the yarn we sell?